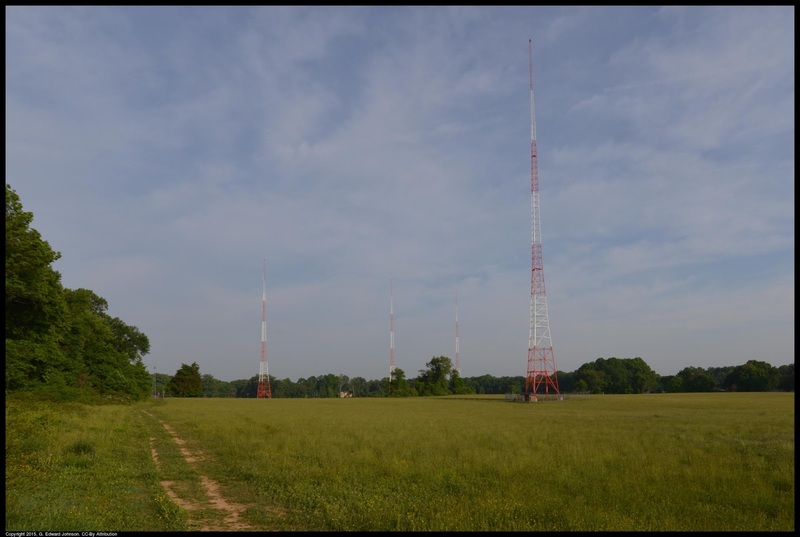 Last night, representatives from Toll Brothers meet with the West Fernwood Citizen's Association to talk about their plans for the WMAL transmitter site. It is nice to see homebuilders engaging nearby residents early in the process and I hope this continues. 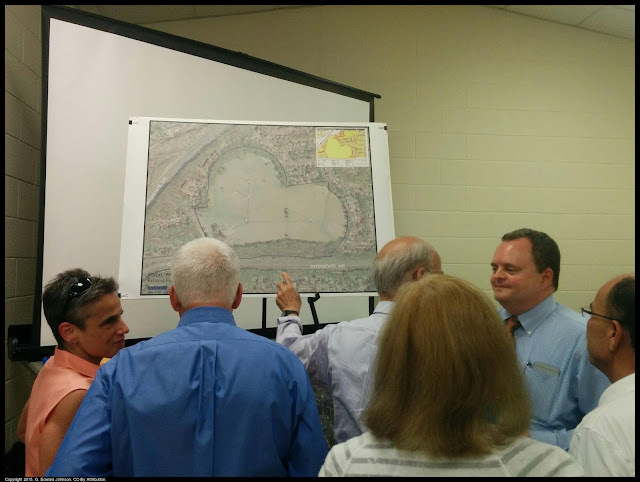 A representative from Toll Brothers (far right blue shirt) answers residents questions about the WMAL tower site. Plans are still being developed, so nothing they said was final, but there were a few useful bits of information that they did have. Currently the site is zoned R-90, which is single-family, 9,000 square foot lots. The site is 75 acres, so that works out to about 330 units. They are required to have 12.5% of the units be moderately priced dwelling units (MPDU). They will most likely take advantage of an MPDU option that allows up to half of the units to be townhouses, but the exact mix of houses to townhouses hasn't been decided. Adding townhouses doesn't allow for more units on the site, it would come with more open space. Everything they see so far suggests that R-90 is good zoning from a marketing and investment perspective, they don't have plans to request re-zoning (but of course, that could change). Currently the site is under contract and they expect it to close within 90 days. They have done one of several required traffic studies, some survey work and some environmental evaluation. They are planning to do a 24 hour noise study today that will assess the noise levels coming from 495.